The most successful campaign initiated by billionaire hedge-fund operator George Soros has been the legalization of marijuana. California has been the focus of most of his efforts. But there are indications that the campaign has gone too far, too fast in Colorado, prompting a backlash from the black Democratic mayor of Denver, who fears his city is becoming a new capital for the marijuana industry. During my recent trip to Denver to cover the National Conference for Media Reform, I visited a “Native Roots Apothecary,” an official dispensary of “medical marijuana” in Denver, and discovered that a Colorado resident can get two ounces of marijuana a day (at an average of $150 an ounce), and “self-medicate” for almost any reason.Even a heavy marijuana user goes through only a quarter of an ounce a day. So fears are growing that “medical marijuana” is quickly becoming integrated into the illegal drug business. It was not supposed to happen this way, but state “regulation” of the industry has been a tragic joke. April 17-23 is “World Cannabis Week” in Denver. Marijuana is still illegal on the federal level, but President Obama told ABC News that recreational users of marijuana, in states that have legalized the substance, should not be a “top priority” of federal law enforcement officials. Denver’s Mayor Michael Hancock, who welcomed participants to the National Conference for Media Reform, is already concerned about the possible damage to his city’s reputation. There are already over 1,400 “medical marijuana” businesses in the state. Full-blown legalization, which passed last November, is still being implemented. In Denver, there is even a magazine, “Culture,” described as “The #1 medical cannabis lifestyle magazine.” So being “sick” has become a lifestyle? This just goes to show that “medical marijuana” is a scam to get high. I was not permitted into the section of the “Native Roots Apothecary” offices where the drugs are actually stored or sold. But I did take several photographs in the lobby, or waiting room. For some reason, the owner came out later demanding that I delete these photos. 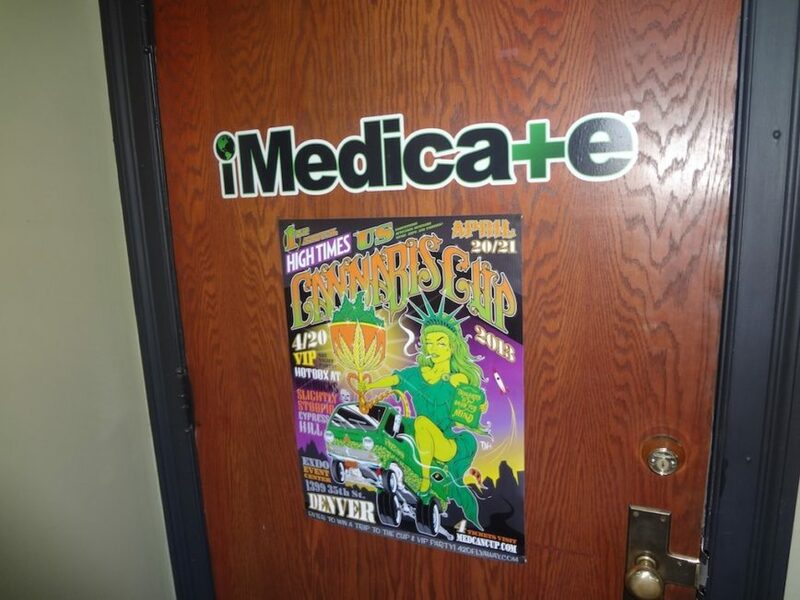 The back of the door featured a big “I medicate” poster advertising the arrival of the “Cannabis Cup” in Denver on April 20. The Colorado State government says the total number of “patients” who currently possess “valid” ID cards for “medical marijuana” is an astounding 108,951. State law says you must have “an active, debilitating medical condition.” But I was told any problem or ailment will do, as long as a “medical marijuana doctor” certifies your need for the drug. Postcards advertising a website were available to direct people to doctors willing to help. A $25 gift certificate made it even easier. “No prior medical records required,” the postcard said. “Compassionate doctors [are] on staff to assist you in obtaining your medical marijuana license.” In other words, you don’t need to show medical records or pass a physical examination to determine the nature of your health problem. Just walk in, tell them what ails you, and walk out with your card. In addition, Colorado cannot monitor the source of the dope, to determine it is not coming from criminal gangs or Mexican cartels. And they can’t control what you do with it, after you smoke your daily allotment. There is an obvious failure by Colorado to regulate the “medical marijuana” industry. This means that a new marijuana industry, following the passage of Amendment 64 in November 2012, is making the problems that already exist much worse. 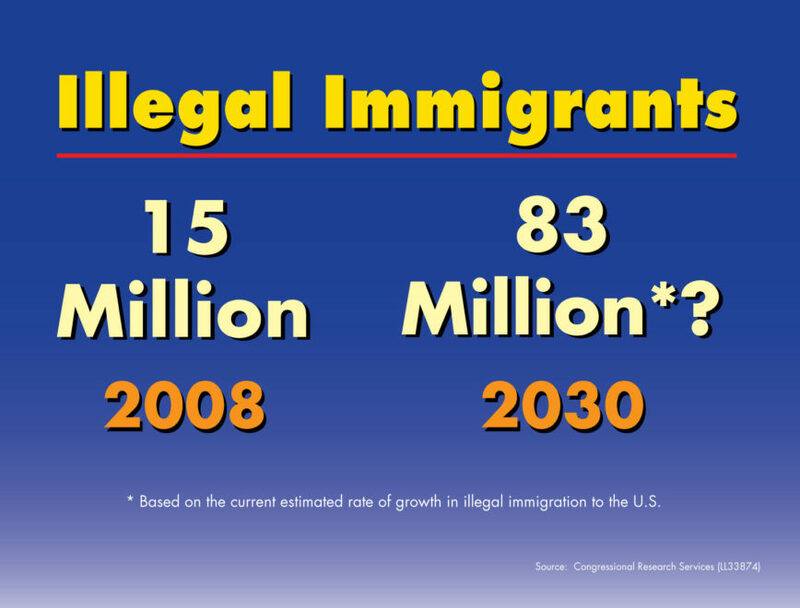 Inevitably, we will be seeing more social, economic and legal problems, not to mention hundreds of thousands of more mostly wasted, alienated, and disoriented youth. In addition to the prospect that legalization will end up assisting the illegal drug business, there is growing evidence that marijuana causes serious mental problems. Jared Loughner, who in 2011 shot former Rep. Gabrielle Giffords, and subsequently pleaded guilty to 19 charges of murder and attempted murder, was a heavy marijuana smoker. Documents recently released in the case by the Pima County (Arizona) Sheriff’s Department, after Freedom of Information requests from news organizations, reveal that Loughner’s parents knew that he had been smoking marijuana and using cocaine. 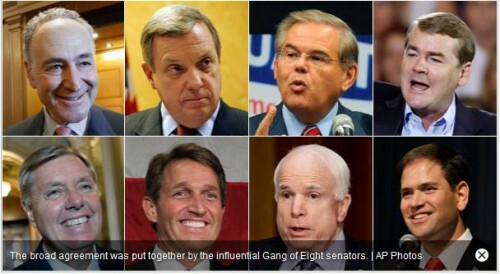 But look for the liberals to blame the guns, not the drugs. He laments that too many so-called conservatives have abandoned the fight against these dangerous drugs.